This article was originally published on Friday, 1 February 2019 at 7:29 A.M. SGT; it has since been updated. 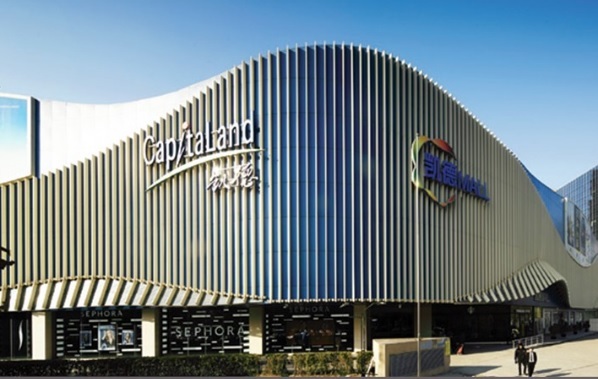 CapitaLand Retail China Trust (CRCT) reported on Friday that its net property income for the fourth quarter increased 8.8 percent on-year to S$35.88 million on its newly acquired Rock Square mall and an improved performance in its other malls. Gross revenue for the quarter ended 31 December increased 3.0 percent on-year to S$55.74 million, the REIT said in a filing to SGX before the market open on Friday. In yuan terms, gross revenue rose 6.1 percent on-year to 281.03 million yuan, while net property income increased 12.2 percent on-year to 181.07 million yuan, it said. Distribution per unit (DPU) for the quarter was 2.42 Singapore cents, up 2.1 percent from 2.37 Singapore cents in the year-ago quarter, the filing said. The increase in DPU came even as the trust issued 64.4 million new units in early December in a private placement, it said. Daiwa had forecast net property income of S$36.8 million on revenue of S$59.7 million, with a DPU of 2.59 Singapore cents for the quarter. Soh Kim Soon, chairman of CapitaLand Retail China Trust Management (CRCTM), the REIT’s manager, said that even with uncertainties over the economic outlook, China’s retail sales rose 9.0 percent on-year in 2018, supported by urban disposable income rising 7.8 percent. Portfolio occupancy was at 97.5 percent at end-December, while full-year rental reversion was 10.9 percent and full-year tenant sales at the REIT’s malls were up 18.8 percent on-year, the filing said. For the full year, CRCT reported net property income fell 1.2 percent on-year to S$147.42 million on gross revenue of S$222.74 million, down 2.8 percent on-year. DPU for the full year was 10.22 Singapore cents, up 1.2 percent from 10.10 Singapore cents in the previous year. JPMorgan had forecast full-year net property income of S$148 million on revenue of S$229 million, with a DPU of 10.5 Singapore cents. DBS forecast full-year net property income of S$146 million on revenue of S$228 million, with a DPU of 10.2 Singapore cents. JPMorgan said in a mid-January note that the trust’s portfolio is “well-located near key transport nodes, with demand underpinned by local catchments, family-oriented shopping. Necessity spending is to remain resilient despite concerns of slowing retail sales growth, which is expected to first impact discretionary spending.” It rates the unit at Overweight with S$1.60 target. CRCT has a portfolio of 11 malls across eight China cities.